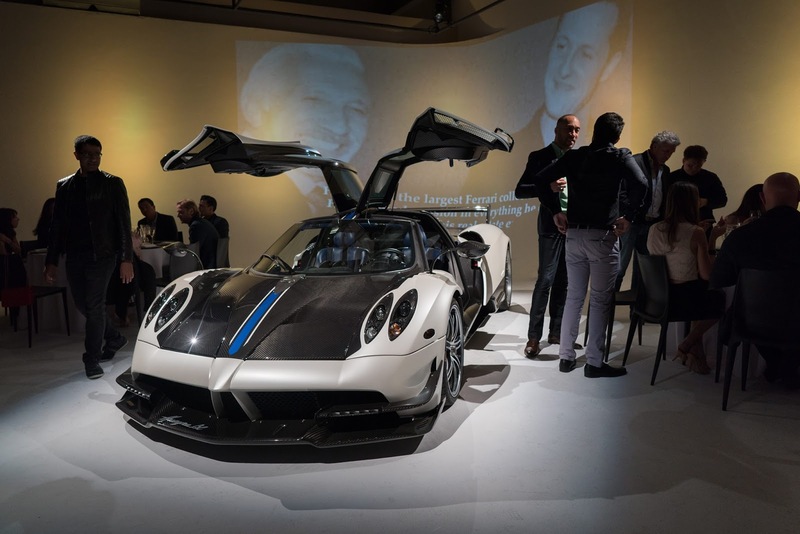 Several customers, friends and parterns took part at the Huayra BC launch, and some of them arrived onboard their own Pagani, such as Huayra #099, Huayra The King 1 of 1 of 1" #086 and a full carbon Huayra equipped with Pacchetto Tempesta (#058?). But our attention is turned to other cars, which are not Huayra! Our friend @lamborghiniks arrived in style on board an extremely rare Zonda, an early example of Zonda C12-S, and a truck that has unloaded the very first Pagani One Off, the legendary Zonda Monza! 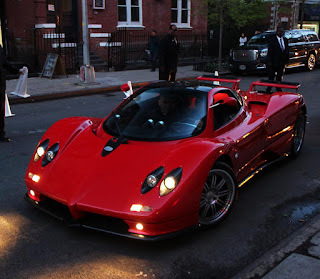 The red Zonda C12-S is one of the first cars built by Pagani in early 2000, it's the only C12-S painted in red, and it's one of the first Zonda landed in USA. In fact, a big part of the short history of this beauty can be traced only in USA, the few times that came out of its garage. This is one of the few Zonda remained completely original, thanks Kris for not having converted it! 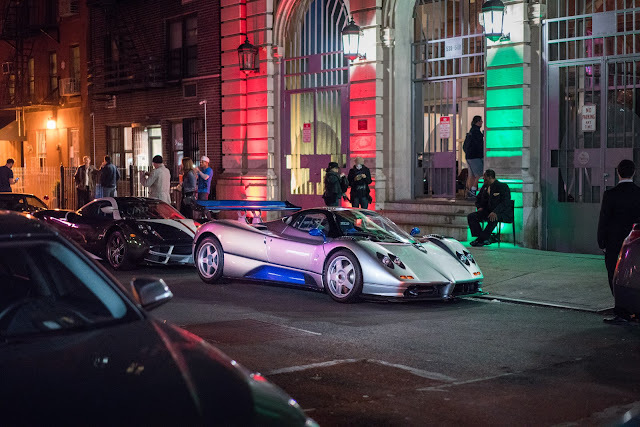 Currently there are too many Zonda Frankenstein..
As I previously said, the Zonda Monza is the very first one-off built by Pagani, and one of the few Zonda that can be really defined one-off. The Zonda Monza is a track-day car, not homologated for street use, built in 2004 for US customer. This Zonda is equipped with a dry sump version of the 7.3 liters engine of the Zonda S, which is rigidly fixed to the carbon fiber frame, as the Zonda R. This is the only track car built by Pagani with a manual gearbox! Even this car wasn't driven many times during the years. 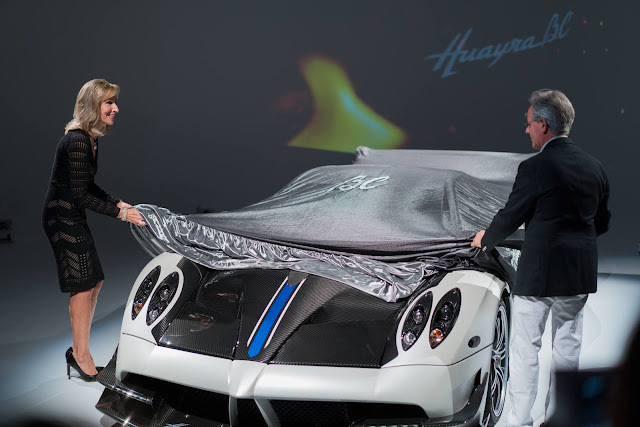 I just realized that the article was on the Huayra BC and I ended up talking about Zonda. Well, if you expected that I would have talked about the technical specifications of the BC after two months since its debut you are on the wrong blog dear readers. Finally, it was a lovely evening, I would have loved to attend, hope they'll have sold many BC even if they are already all sold out, and can not wait to see the Huayra Roadster! I am impressed in the Zonda Monza car very much. Also the specifications as this Zonda is equipped with a dry sump version of the 7.3 liters engine of the Zonda S, which is rigidly fixed to the carbon fiber frame, as the Zonda R. This is the only track car built by Pagani with a manual gearbox! Even this car wasn't driven many times during the years. Really thankful to you for such informative and decent post, Keep sharing more. It is also helpful a lot and can download ELM 200 Week 7 Assignment 2 Latest-GCU loving your Post and share with Friends . Thanks again! As the online business is now a days growing very quickly and the business in Pakistan the replica clothing 2018 for sale are very low budged and easy to tart. Similarly, if you want to start your business with a small step up over designer replica clothing price wholesale from anywhere in the world I have someone who can guide you in the perfect way named Ejaz Ahmed. He is from Pakistan and started his business replica clothing chiffon online over Faisalabad Fabric Store which is the leading chiffon suits online website working all over the world, especially in UK, USA, UAE, and Canada. Here we deal all sort of Fabric over this platform in Women Wear (Casual & Party Wear) and also in Men Wear (Salwar Kameez & Tracksuits) although the Kids wear salwar suits.